Last Game: Sunday at in Hartford, the Penguins won 4-1. Wilkes-Barre cashed on two power play goals in the first period and Tristan Jarry stopped 22 of 23 as the Penguins were the first AHL team to 10 wins. 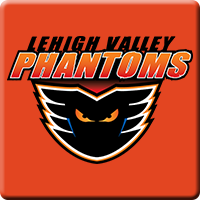 For Lehigh Valley, the Phantoms were in Hershey Sunday and won 3-1. Alex Lyon stopped 35 of 36 shots. Why you should care: The Penguins are the best team in the AHL and the Phantoms have won six straight. Something has to give here as these two teams battle for Atlantic Division supremacy. Other Game to Watch: Albany is in Rochester. The Amerks are on the rise and want to get to where the Devils are. That should be a good game.